What is experiential education? What are its theoretical roots? Where does this approach come from? 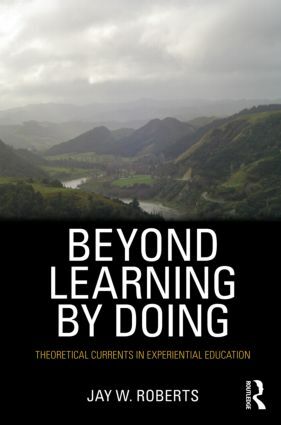 Offering a fresh and distinctive take, this book is about going beyond "learning by doing" through an exploration of its underlying theoretical currents. As an increasingly popular pedagogical approach, experiential education encompasses a variety of curriculum projects from outdoor and environmental education to service learning and place-based education. While each of these sub-fields has its own history and particular approach, they draw from the same progressive intellectual taproot. Each, in its own way, evokes the power of "learning by doing" and "direct experience" in the educational process. By unpacking the assumed homogeneity in these terms to reveal the underlying diversity of perspectives inherent in their usage, this book allows readers to see how the approaches connect to larger conversations and histories in education and social theory, placing experiential education in social and historical context.